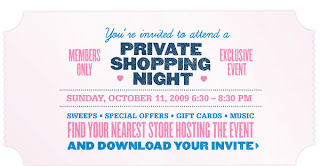 This Sunday, from 6:30 – 8:30 p.m., you can take part in a special Members Only shopping event at Victoria Secret. It isn’t too late to join and get your invitation. You can sign up here and then print your invitation.